Monsoon is a good time to see creatures. All plants get a new life and this attracts a lot of creatures and insects. 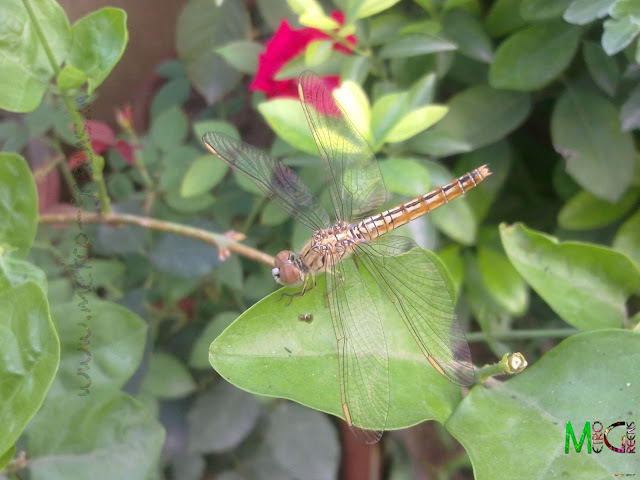 Many plants go in blooms and this acts as an important factor to attract insects to the plants and thus this is a great time to see insects and other creatures. 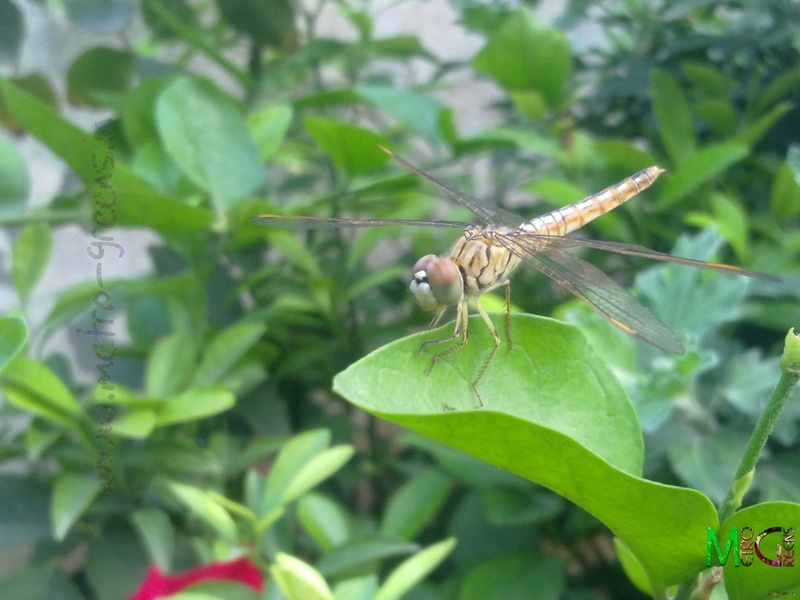 Recently, I got a chance to capture one such creature - The DragonFly. Dragonflies are very generous creatures. They let you capture themselves and pose pretty steadily for you to take pictures of them. 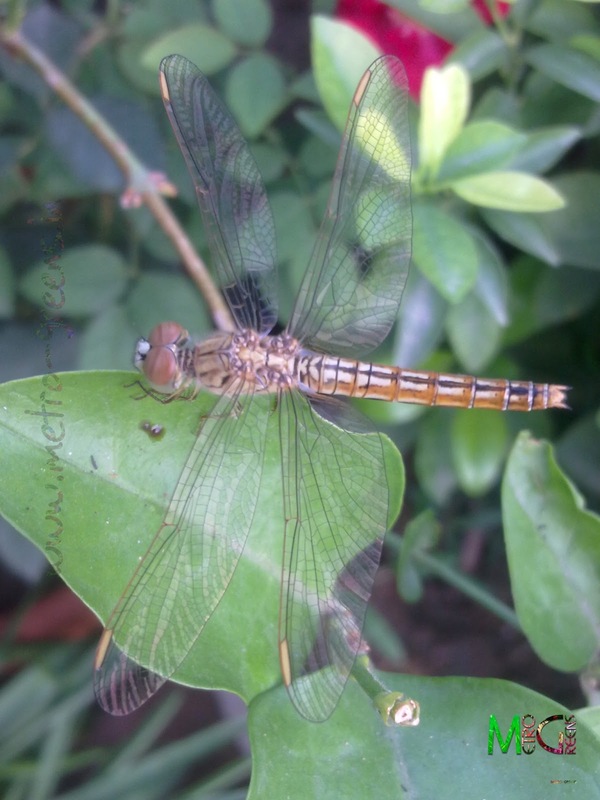 I grabbed this opportunity and captured some shots of this dragonfly. In the background, a underdeveloped red rose appears in all the photos. Now a days, both of my red rose plants are having some underdeveloped/premature small roses with roughly 7-8 petals as opposed to the regular larger flowers. This does happens every summers. The Dragonfly posing for me on a leaf of my Arabian Jasmine plant. It seems like it wasn't the monsoon but the pre-monsoon showers as for the last two days, we didn't have any rains. Anyhow, the weather has turned pleasant. I'll be back with some more magic of monsoons. Till then, keep visiting and HAPPY GARDENING! Clear shots! The wings look like a network. Thanks Indrani. Indeed, that's among great works of nature. Thanks a lot for your comments, Angie.